This very special cleanser is a combination of five main naturally form ingredients, silver (kills bacteria), silica (prepares skin to accept moisture) , collagen (heals damage skin), chitosan (removes oil and dead skin) and sericin (protects and coats) to create a unique and remarkable cleanser. We only recommend products that we used and believe. 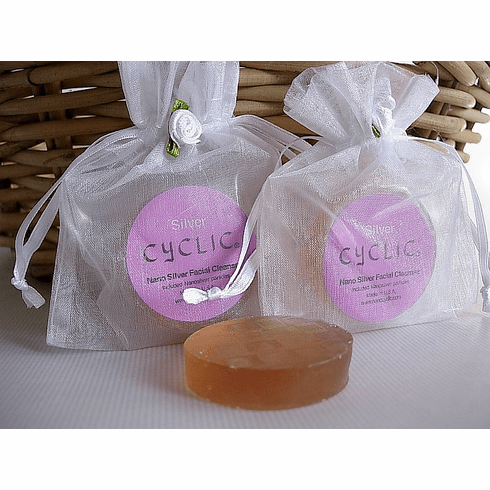 This 15 gram sample size soap will lasts for a long while and you will see a difference in your skin after 1 week of use.